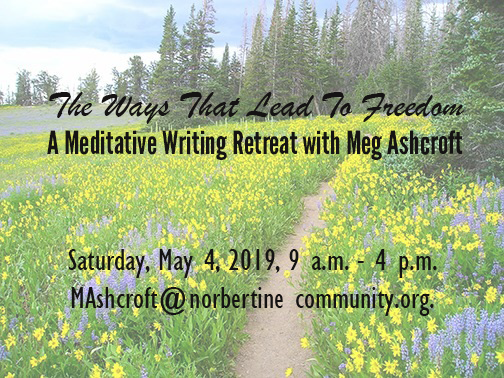 Saturday, May 4, 2019, 9 a.m.-4 p.m.
All are welcome to participate —no writing experience is necessary! From what do we need to free ourselves—or be freed from—in order to embrace our deepest self/identity as beloved of God? In this retreat we will have time and space to explore how our unique path has shaped our relationship to freedom, and to identify areas of our lives that long for liberation.